The namesake of the series I am creating, Lummoxie harkens a fresh and new perspective with simplicity, style, and functionality. →This template has been updated. The Page List Widget has been customized to fit the template and comprises the top navigational links. 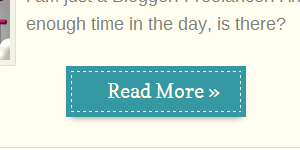 Page links will be automatically added, and other additional links can be added via the pages section of the Blogger dashboard. Navigation offers "dynamic highlighting" of the current page, i.e. the current page is "highlighted" automatically. No scripts are necessary in using the read more feature on this template, as it utilizes the in-place "jump break" feature in Blogger. Simply add a page break when and if you would like a post to be summarized. The correct Date Header format must be selected in order for the post date to display correctly. From the Dashboard > Settings > then Language and Formatting. From the "Date Header Format" select "DD Month YYYY" style, (two digit day, name of month, four digit year with no commas) and then select "Save Settings." Be sure that you select the format with no commas, or else it will not display correctly. Please do feel free to share your thoughts on this template!